Walking around Mindful Gifts in Darlaston, you could be mistaken for thinking you were stood in a Mid-nineteenth-century jumble shop. The social enterprise located in between Wolverhampton and Walsall specialises in providing support to people affected by dementia. Awarded a grant of £4,960 from the Foundations Young at Heart Fund, the project attracts a variety of people whether it’s the older generation looking to reminisce or those of a younger age looking to grab a vintage bargain. Inside the quirky shop are tables covered in fabric and tools as well as mugs filled to the brim with tea. Looking around, the seats are with people bringing their ideas and imaginations to life. Delivering a range of activities for people suffering with dementia, social isolation and loneliness, the projects most popular session is ‘rag-rug’ making. “The groups here are really beneficial, we don’t just make rugs, for example we make sensory pillows for people with dementia, they like the way it feels and they respond to touching different fabrics! “A lot of people come every week, they don’t just come to make things, they also come to have tea and cake, a chat with friends or to meet new people. 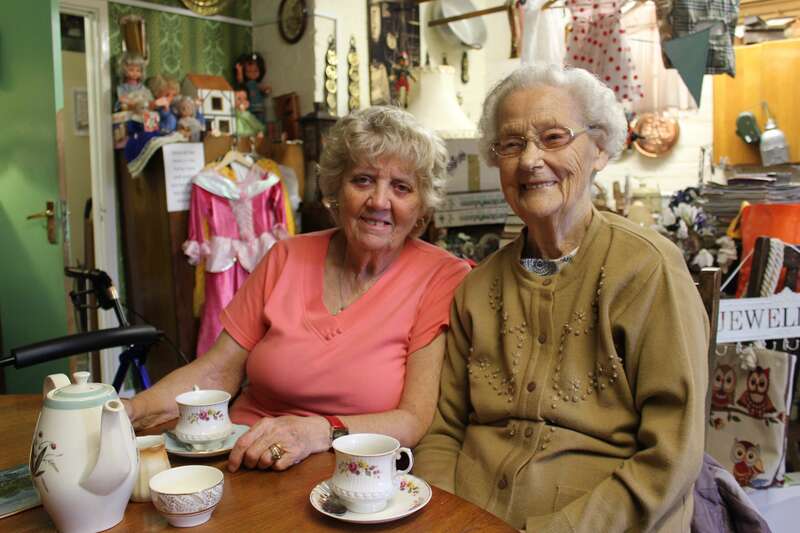 In the back of the shop are two ladies, Ruby and Ursula, they’ve been friends for a long time. “I’d been meaning to go, but I didn’t want to go on my own, we’ve been coming every week since then!